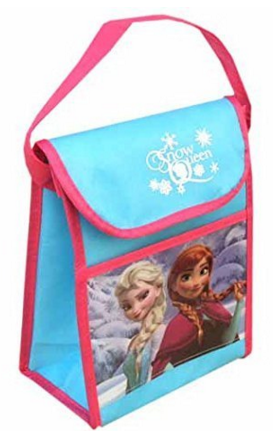 Disney Frozen "Snow Queen" Lunch Bag With Hangtag Just $4.80 Down From $19! You are here: Home / Great Deals / Amazon Deals / Disney Frozen “Snow Queen” Lunch Bag With Hangtag Just $4.80 Down From $19! Disney Frozen “Snow Queen” Lunch Bag With Hangtag Just $4.80 Down From $19! Throw out the brown paper bags and get Disney Frozen “Snow Queen” Non Woven Vertical Lunch Bag With Hangtag for just $4.80 down from $19 at Amazon! Get yours now while it lasts!